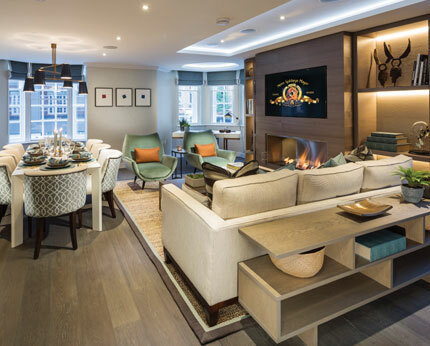 Through the luxury Oakmayne Bespoke brand, the focus has been on creating luxury residences characterised by bespoke finishes, outstanding attention to detail and materials of exceptional quality sourced from around the world. The properties from Oakmayne Bespoke are in Central London’s very best addresses including St. John’s Wood, Cornwall Terrace, Mayfair and The Regent’s Park. Embassy Court was designed by the renowned architect Piers Gough of CZWG. Embassy Court comprises of 25 elegant beautifully crafted luxury apartments. This development also has two breath-taking penthouses with panoramic views across London. The Collection is a town house development built on the former site of The Saatchi Gallery in Boundary Road, St. John’s Wood. 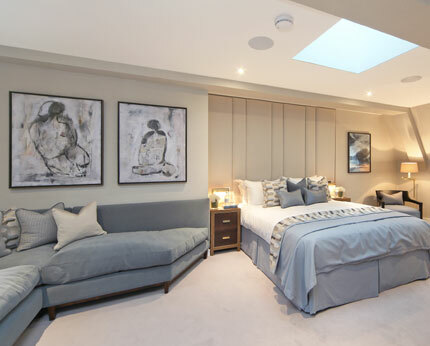 The Collection has been built to an exceptionally high specification in a secure and secluded area of North London. Cornwall Terrace was inspired by King George IV, when he became Prince Regent in 1811 and ruled on behalf of his father. He had the vision to create plans for a new city defined by beauty, elegance and classical architecture and appointed John Nash to oversee his dream in The Regents Park of which Cornwall Terrace was perhaps the greatest of all the Nash terraces. 1 St. Katharine’s Precinct was originally built in 1828 and designed by renowned architect Sir Ambrose Poynter. Set behind a gravel driveway, pier gates and railings, the house combines Gothic architecture, modern interiors and a contemporary specification by Oakmayne Bespoke. Verge Mayfair, W1, is a scheme of ten exclusive new luxury apartments and two outstanding penthouses, both with outside terrace space. Verge Mayfair overlooks Oxford Street and Dering Street in Mayfair, London W1. Behind Verge’s elegant Grade II listed façade, the brand-new apartments demonstrate dedication to quality and fine attention to detail.